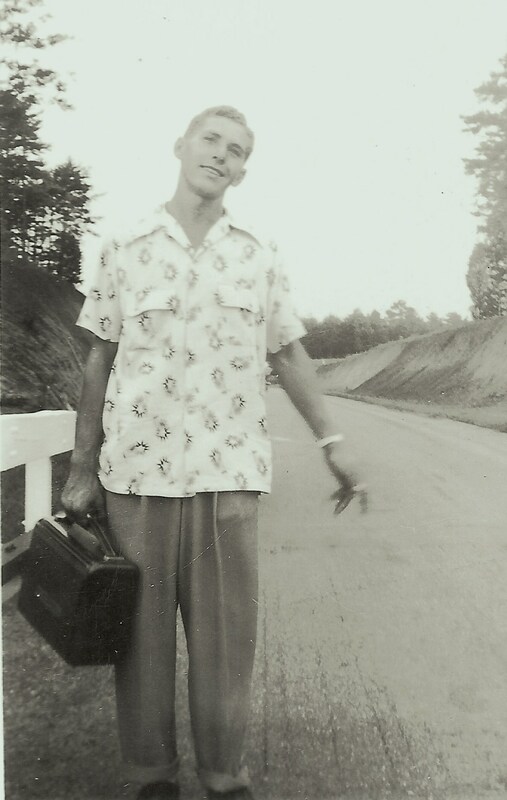 An unlabeled photo of my father, Norman Strickland, places him someplace in Virginia, sometime around 1950, looking an awful lot like his grand-kids look today. yeah, and his daughter did not fall to far from the tree, either. Hitch hiking?